Part 2 of Spring Break took place in the greater LA area when a friend from Notre Dame came to visit from Chicago. Who needs dreary days that have a high of 18 degrees? We took a tour of the haunted ship for a few hours, and tried to conjure up spirits, along with just enjoying the various parts of the boat. We were let into the bow cargo hold and engine room among other. The next day we headed inland to see the Cabazon Dinosaurs. (These dinos achieved fame in "PeeWee's Big Adventure, a movie made in 1985). Next up was lovely old town Pasadena. Perfect sunset, architecture, food, and the arts. Dancers at the public library, displaying traditional Mexican dances. Last stop of ArtNight (highly recommended!) was the Norton Simon museum, with some amazing Degas and Monet pieces, along with an exhibit on Asian religions. Love it. No visit to LA would be complete without a stop at Venice Beach where we saw a busker jump over 9 people (the guy on the left, the 10th, moved out of the way). Venice Beach drum circle at sunset on a Saturday night. Much better in person (or YouTube). Katy and I enjoying the arts a bit more on Saturday night at a local community theatre performance of The Secret Garden. Finally, the Santa Monica Farmer's Market for some ridiculously big quesadillas and a few strawberries and fudge, to keep our strength up! No real time for text, the pictures will tell all. For Californians (using acronyms): PCH from LA to SF. For outsiders: a most excellent trip driving up the coast, the standard fare of beautiful sunsets, ocean views, wine tasting high class hotels, camping on the cliffs, and all with the best possible company. Left from Santa Monica, cruised through Malibu on California Highway 1; Pacific Coast Highway. Brief photo with a solar car and chaser van on the Santa Barbara pier! Some good-lookin' folks enjoying the sunset in Santa Barbara. Snazzy pants and a fishing sign on the pier. Little Black Sambo's Restaurant in Santa Barbara. Sambo likes pancakes. Perfect hotel on the beach, Santa Barbara. San Luis Obispo Mission, Nave. Exquisite paintings of flowers and birds. Nice little wildflower. Or planted flower. Whatever. Hard to beat: Soft Cheese, fresh berries, Pinot Noir, and a killer view. Just south of Big Sur, PCH, picnic lunch stop. Big Sur, north side of Julia Pfeiffer Burns State Park. Just outside Davenport (Santa Cruz), CA. Feeding penguins at California Academy of Science, San Francisco. Aquatics at California Academy of Science, San Francisco. Magnolia Bar on Haight St., San Francisco. Two "Racers" in Golden Gate Park. Racer in a race with Holden. Beautiful Raleigh bicycle that lives in Palo Alto and needs some attention. Last year at this time I wrote one blog post about every 3 days, and now I'm struggling to keep up with one ever 3 months. It's not the fact that my life is less exciting, but rather that I talk with more of you on the phone or in person, now that I'm back in the US. My life, as always is in flux, and change is in the air. I'll try and make a new post if and when I move or get a job nailed down. For the time being, I just wanted to keep things in perspective and share this 4-minute video with you. 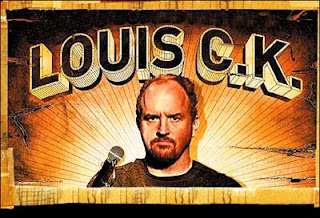 The following clip is of a comedian, Louis CK, discussing the spoiled generation. I love when he calls someone a "non-contributing zero." Enjoy by clicking the link below.